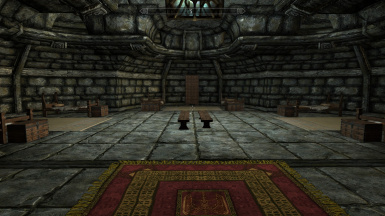 Adds a simple Dwemer styled player home just East of Riften. 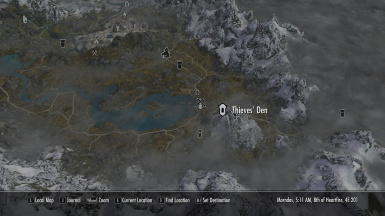 A conveniently located home just East of Riften. This "Den" home is my typical open floor planned simple layout home with lots of room to move around. This home will have a darker, grittier feel. 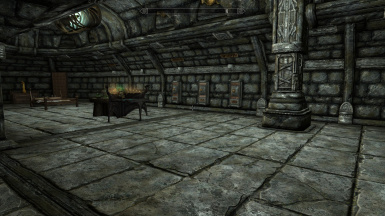 It features: A forge, smelter, 3- enchanting tables, 2- Alchemy table, a Staff enchanter, Grinding wheel, Armor bench, 2- Mannequins, lots of weapon racks, shield racks, plenty of safe storage, 6- kid's beds, 2- follower beds, an oven, cooking spit, 8- fully operational planters, and a master bed complete with well rested bonus. There is also a terrace to admire the stunning views offered by the Riften area, and an actual front door. It's fully nav meshed for everybody (including terrace). 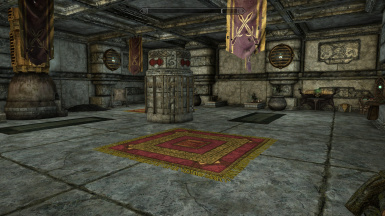 Just East of Riften, use the unguarded hardly used East Riften door by the Talos shrine. It is location markered too. It is fully compatible with TMPhoenix's Hearthfire multiple adoptions with custom home support. I'll leave this up to you. Still can't get the spouse to open a store. They will cook and give you money. 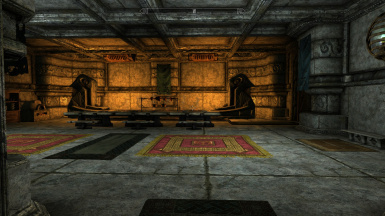 Everybody Making Mods for Skyrim!!! !